If you work in a company, you surely know what a manager is. But then, you probably have also heard about another important person in the company: the director. Why do most companies need a manager and a director? And what is the difference between the two, anyway? If you have asked yourself this question, you’re in the right place. 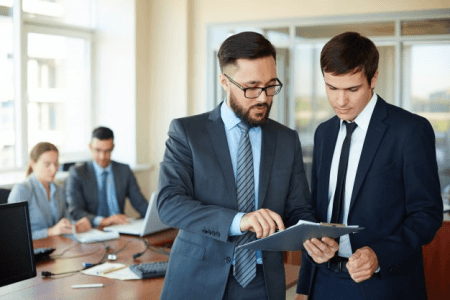 In this article, we will focus on the difference between a manager and a director. A manager, as the name suggests, is the person who “manages” or looks after employees. It is his responsibility to handle day-to-day operations in his department or unit. Usually reporting to a senior manager or a director, it is a manager’s role to implement the board of directors’ programs and policies. It is also one of his duties to delegate tasks to his subordinates and to make sure these tasks are accomplished effectively and efficiently. A manager usually handles team leads or different teams in the same department. It is his obligation to support, coach, assess, and discipline his direct reports. Aside from these, doing a compensation review, preparing budgets and schedules, evaluating skills, determining the necessary training, and checking the needed resources are also among his duties. To get a managerial position, a team lead or supervisor is usually appointed by the board of directors or is promoted for his excellent performance or intellect. On the other hand, a director is someone who directs and administrates a company. He sees to it that the company’s action plans conform to its mission, vision, and values. It is a director’s duty to formulate long-term strategies for the organization. His action plans should protect the company and its stakeholders’ stability, reputation, and assets. He does this by preparing the annual goals, budget, and timetables, and by providing the necessary resources. A director reports to the vice president or another executive. He also oversees, guides, and directs managers to carry out the company’s plans. He collaborates with the managers to analyze and ensure progress. What, then, is the difference between a manager and director? On the other hand, a director is someone who does the overall company administration. He establishes the company’s mission, vision, and values and makes sure that his long-term strategies protect his organization’s resources and prestige. He prepares the yearly goals, budget, and timetables. He also ensures that resources are available for the company to be able to carry out his strategies. A director checks progress with the managers and reports to a vice president and oversees managers.